This is the final night of the tour. 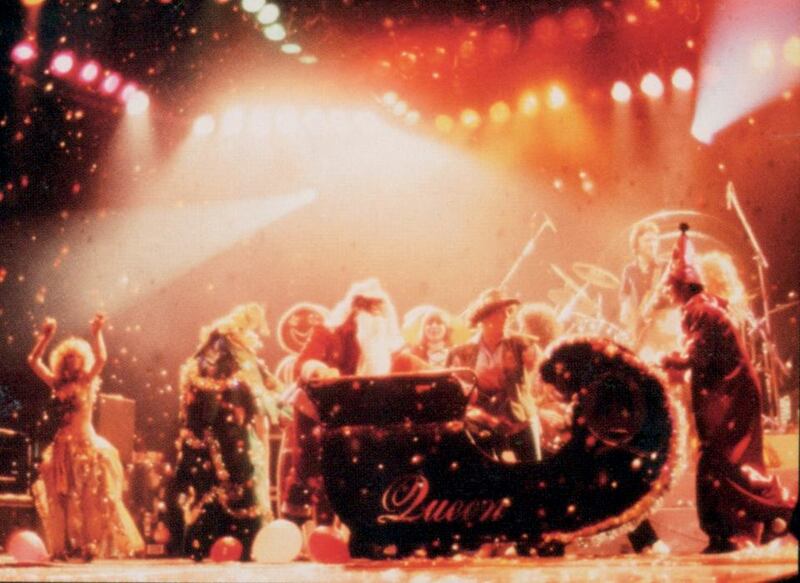 To celebrate it there are some holiday festivities on stage. 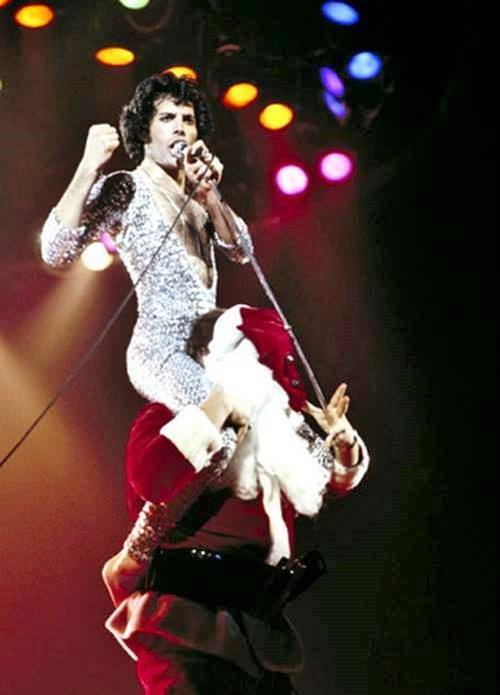 First, during the acoustic set, Freddie and Brian perform a one-off version of White Christmas. 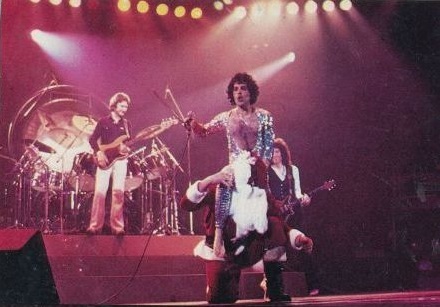 Later, for the first encore of We Will Rock You, the band's bodyguard comes on stage dressed as Santa Claus. Instead of the usual toys in Santa's sack, Freddie emerges from it in his silver lurex suit (as seen in the pictures above) where he then sings the song on Santa's shoulders. 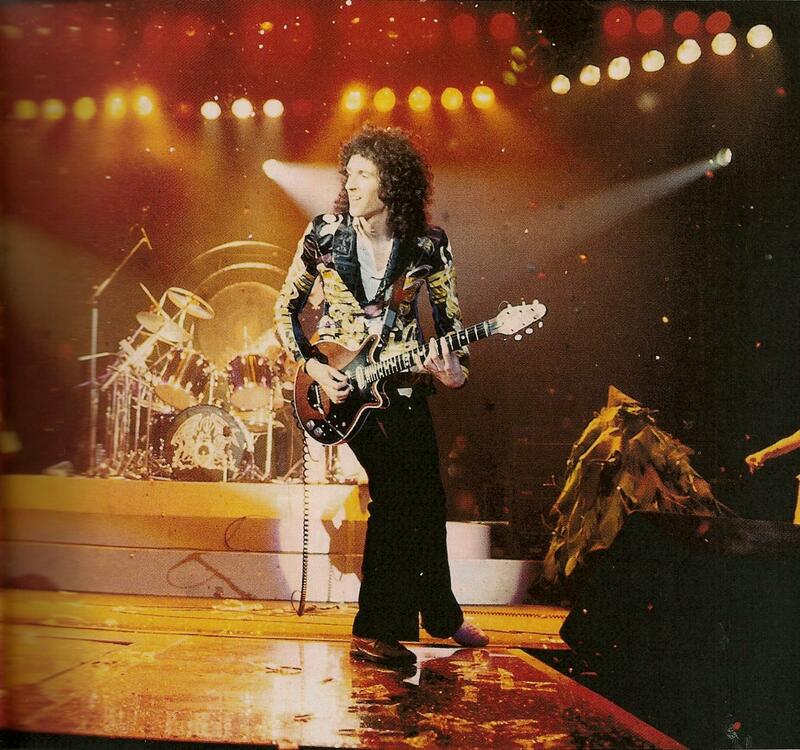 Prior to this, Brian May plays a bit of Deck The Halls in his solo spot, which is greatly enjoyed by the audience. 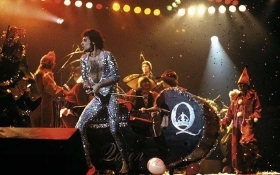 Earlier in the evening, Mercury refers to the medley as a "cornucopia of delight. Something nice and pretentious, just for all the critics." 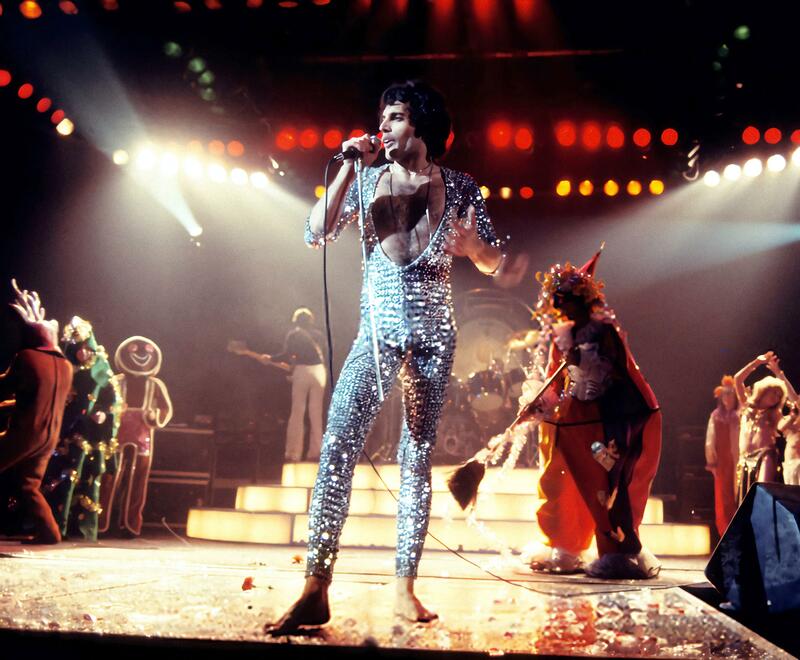 The performance is nothing short of ferocious from Mercury and the band, certainly one of the finest of their career. While the band were always on their game during this period, on this night they tap into their energy reserves and give a little extra in nearly every song. Mercury's delivery of Somebody To Love, It's Late, Liar, My Melancholy Blues, and White Man are amongst his best ever, and the band, now with 25 shows on the tour under their belt, are tight and focused. 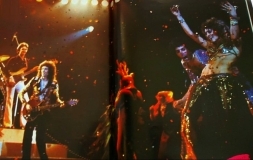 Brian comes in a couple bars late for the initial We Will Rock You guitar solo, and since the backing track with the explosion is on tape, he gets cut off for the last couple bars of the solo. Later, his pitch shifter doesn't work during Get Down Make Love, resulting in the middle section being cut short. But besides that, as well as their somewhat under-rehearsed yet warmly received attempt of White Christmas, they nail pretty much everything else to perfection. 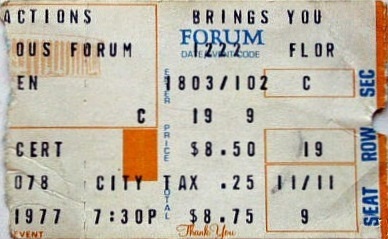 The bulk of the pictures were taken during the outrageous second encore. 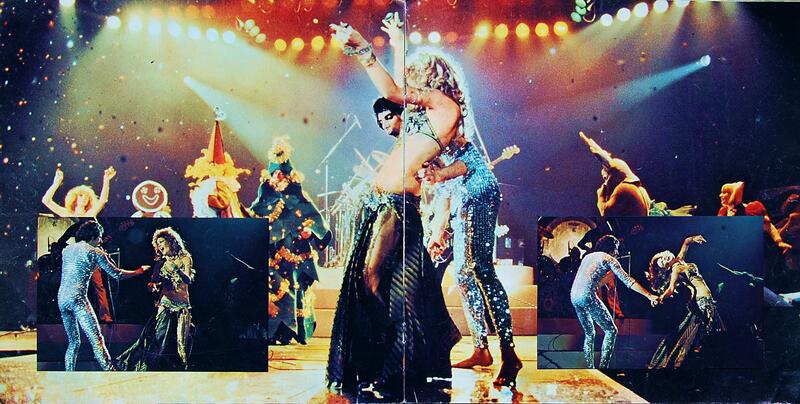 Three hired belly dancers emerged, Queen's manager John Reid came on dressed as an elf, and crew members (and Mercury's friend Peter Straker) were dressed as reindeer, clowns, a walking Christmas tree and even a gingerbread man, among other characters. Blow up dolls and 5,000 balloons were dropped onto the audience from above. One of the dancers, Stasha Vlasuk, shares her story on her website. 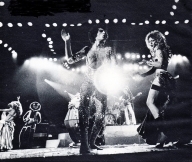 The other two dancers were Denise Russo Heep and Jane Padgett. 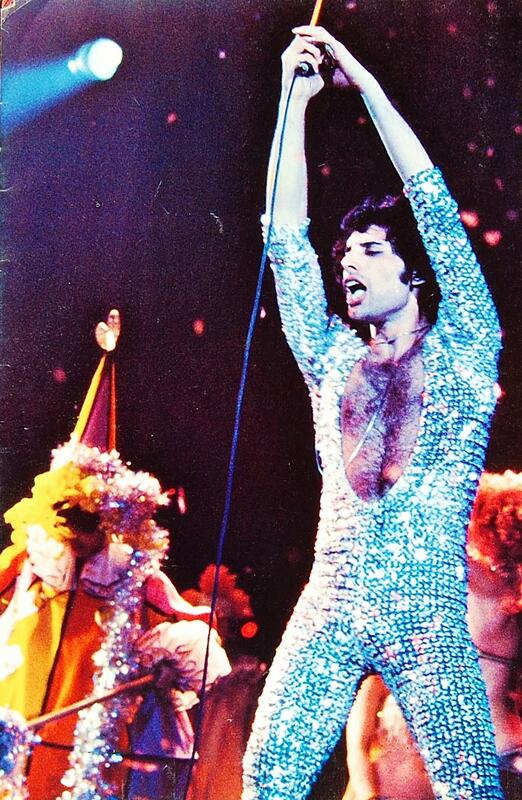 The fifth picture is from the Spring '78 fan club magazine, and the ninth picture was submitted by Leonardo Pelz. The twelfth picture was submitted by Alessio Rizzitelli and colour corrected by Nino Trovato. Here are two reviews of the show, from the Van Nuys Valley News and the Pasadena Star-News respectively. 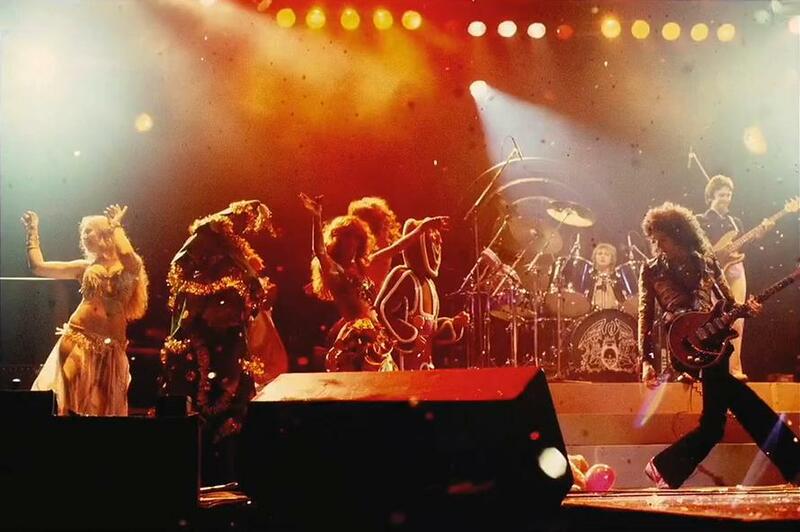 The fact that a backing tape is used for the middle of Bohemian Rhapsody works to the band's detriment in the first review. 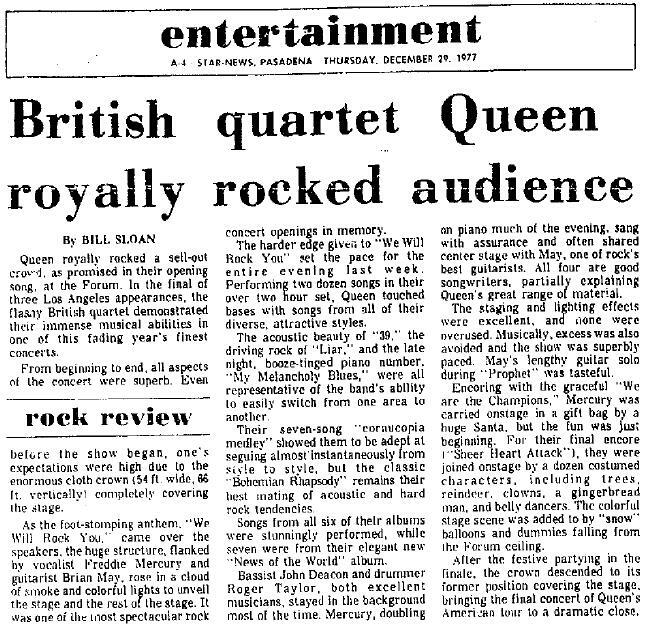 Their vocal harmonies sounded so good on stage that even the most positive reviewers like this one simply assumed other songs were accompanied by a backing tape as well. 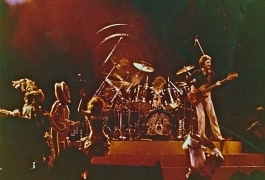 Liar, a staple in the set since the early days, would be performed less regularly after this tour. A soundboard recording of this show exists. 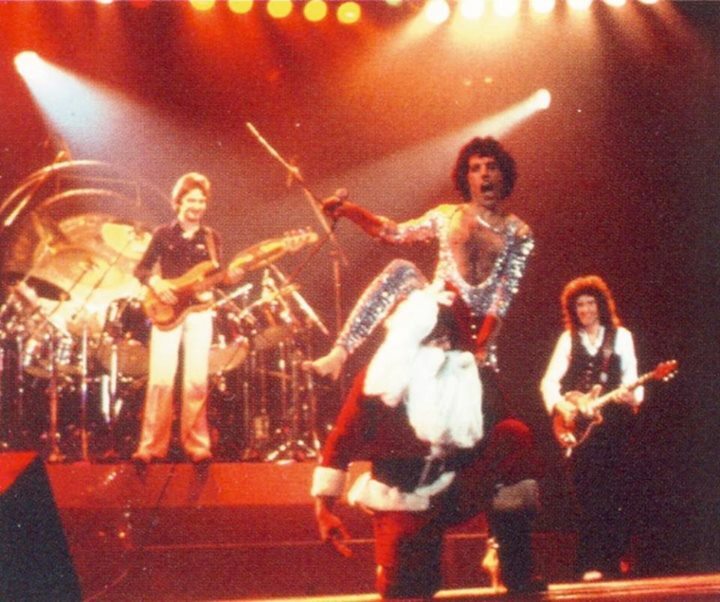 Not only did Greg Brooks transcribe the stage banter for his revised "Queen Live" book, the audio of White Christmas was slated to be part of the documentary in the 2017 News Of The World box set, but didn't make the final cut (Brian and Roger deemed the performance not good enough). 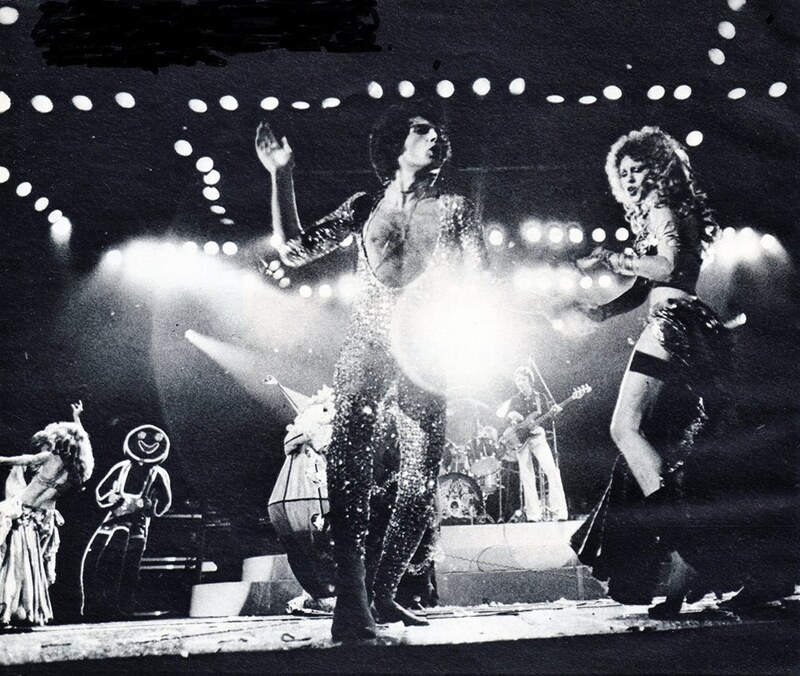 The quality isn't great for most of this one (although it certainly is decent in the quieter moments where there is no bass overload), but the legendary status of this show makes any recording of it a welcome addition to the collection. It takes a few songs for the taper to settle into place, and by the medley the sound is pretty stable. There's a tape flip after Best Friend, and like the first few minutes of the show, the tape is clearly not in great shape, as there are pitch and sound fluctuations until it settles in again. Listening to American audience tapes of Queen from this period can be pretty interesting, as the comments from the audience members really give you a sense of what it was like to attend shows back then. During Brighton Rock you can hear the two tapers speaking to one another about the tape recorder - "you hold it!" When Brian May says "and now for something completely different" before Love Of My Life, one of them is reminded of the Monty Python film. Before the band play '39, they wonder who will sing the lead. 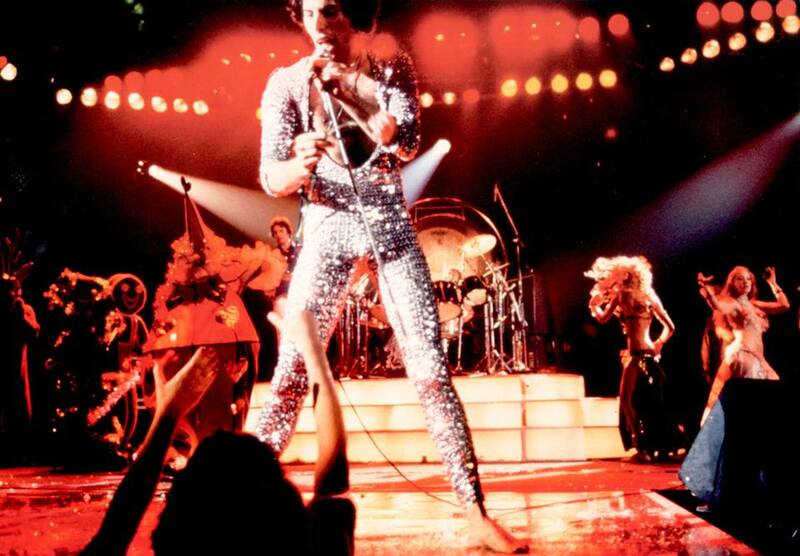 And when Brian is sustaining notes with his EBow at the beginning of his solo spot, this same guy says "earthquake!"